Times are tough, so if you’re starting a business, relocating to new premises or planning to upgrade your existing workspace, you’ll probably have to work within a tight budget. To help you keep your costs in check, we’ve compiled a list of tips and tricks that will transform your office into a bright, comfortable and aesthetically pleasing space. 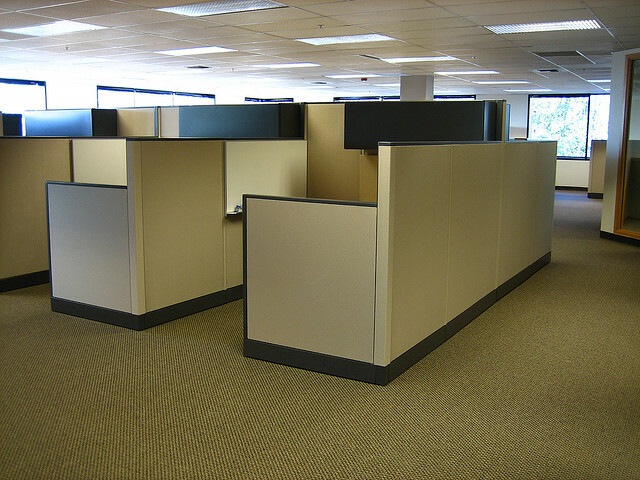 Office furniture is one of the more visible aspects of your business. To make the right kind of statement, you’ll want great looking furniture that’s crafted to last. A reception area, in particular, should be cool, comfortable and convivial. Even more importantly, office furniture has to keep staff comfortable and productive. It should be practical and ergonomically designed. It’s possible to pick up attractive, ergonomically designed pieces of office furniture at bargain prices at furniture wholesalers, auctions and through online classifieds such as Gumtree.co.za, Olx.co.za and Junkmail.co.za. Office equipment, computer hardware and communications tools are also available online and at second-hand stores. In today’s tough economic climate, using wholesale or pre-owned furniture is an excellent way to get what you need without breaking the budget. Leasing, renting or hiring office furniture is a practical alternative, especially for new businesses and those whose needs are likely to change. Office furniture and equipment are depreciating assets and monthly rental or lease payments can be written off as operating costs, so you’ll benefit financially in more ways than one. You can easily enhance your work area by repairing, re-upholstering and refurbishing existing furniture. These days, furniture repairs aren’t only about new upholstery. Professional office chair repairs include shell alignment, a deep-clean valet service, protective coating applications and a complete overhaul of each component, from the wheel castors to height and tilt mechanisms. Natural light has long been associated with enhanced work performance and a healthier and happier workforce. It also helps maintain a comfortable temperature. To maximise natural light, you can install larger windows and skylights, strategically position mirrors to reflect natural light into the room and integrate reflective materials such as glass and chrome in the office décor. There’s a host of creative ways to brighten up your office. A lick of paint can work wonders. You can also add fresh cut flowers, pot plants, fish tanks, personal photographs and big colour prints to transform your work environment into a colourful, pleasing place to work. You can cut costs by opting for smart or recycled storage solutions. Durable banker’s boxes, handmade wicker picnic baskets and wooden wine crates are perfect for storing paperwork and other bits and bobs that would otherwise clutter the office. If space is at a premium and you’re not constrained by a meagre budget, you can consider purchasing cleverly designed storage solutions that offer a combination of comfort, style and functionality.